Next morning I was up at 7:40am and the dear roommate was almost ready for the day and was packing her luggage. We were to leave at 9:00 am. I quickly got up and caught up with the day and the schedule. Thankfully, my luggage was all packed. We got ready, had our breakfast, picked up our tiffins and said good-bye to the family. Our hostess dropped us and some of our luggage to where our bus was parked. I was in love with the cat and hence was feeling bad to be leaving the place. We started from Komik at about 9:00am and were driven to Komik Monastery which was at a distance of a kilometer from the village. New monastery was a recent architecture. The old monastery does not allow women inside it and hence we took this opportunity to take a photo-break as we waited outside. From Komik monastery we started for Langza, which was at a distance of 9 kilometers from there. It took us 30-minutes of drive to reach Langza. Langza is village that has rich bank of fossils available naturally. It was this village that our guide Anjaan belonged to. It also was the place where out pottery class was scheduled to be held under Mr.Norbu’s guidance. The potter’s wheel is a recent introduction to the village facility. Also, a bunch of us had signed up for mountain-biking. We cycled from Langza to just about when you enter Kaza. A total distance of 17 kms! The rest of the group-members were to take jeep to join us there post the pottery class and practice. The mountain biking group (3 people) were made to take up pottery as first batch so that they could proceed with their mountain biking. I, along with 2 other travel-mates decided to accompany this biking bunch in our Tempo Traveller for just in case they face any unforeseen situation (more importantly, because I did not want to miss the fun). The minute mountain biking started, I was regretting not signing up for it. But I enjoyed photographing the event. Somewhere halfway through, one of the bikers decided that I could share the bike with him for the remaining of the journey. THIS simply made my entire trip! 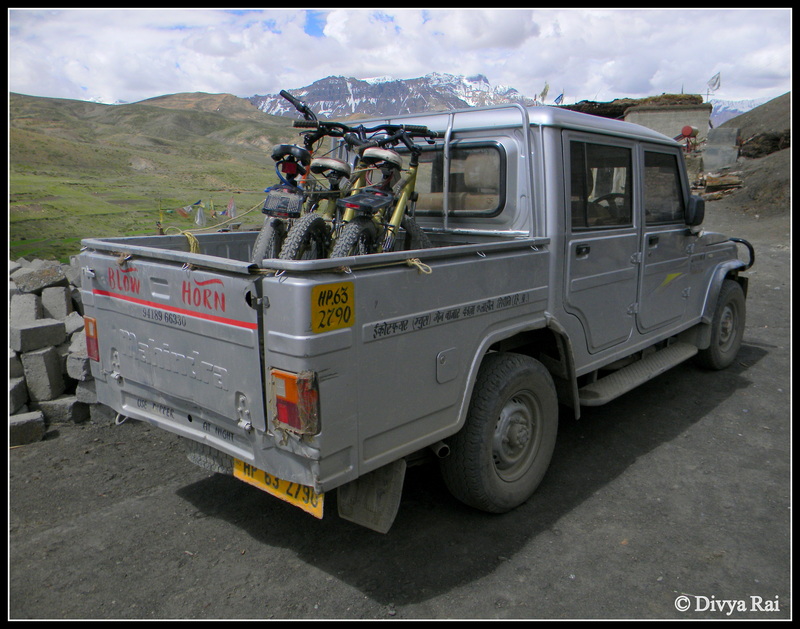 We reached the end-point and handed over the bikes to the Spiti Ecosphere team as it was arranged for us by them. While we waited for others to join us, we had our lunch that was packed in tiffins by our respective host families. After a bit, the rest of the group joined us and we resumed our journey in the bus. We, from there, went to the Kyi Monastery, my most awaited point in the itinerary. Kyi Monastery is one beautiful piece of architecture and a good place for photography. Our guide took us around the place and then gave us a photography break. I think by then, we were slightly bored of the monastery routine and hence a few of us skipped the part where they briefed us about the history of the monastery. An hour later, we were on our way back to Kaza. We reached Kaza at around 5:00pm and this time it was lesser taxing on the body in terms of high altitude breathlessness. We reached our guesthouse, had tea and decided to take a walk around the market. We also visited the Spiti Ecosphere office to meet the team behind this fabulous trip and the reason for development in the district. At the dinner time, we had Ishita and Sunil, the movers and shakers of Spiti Ecosphere joining us for a good-bye-dinner. One of us was gifted a bottle of ‘arrak‘ by her hosts and she was kind enough to share it with us, for the dinner. We toasted to our intact body parts and amazing travel experience. Dinner was multiple times enjoyable because of the flowing arrak and the travel-tales from both the sides, ours and the Ecosphere team’s. Post dinner, we hung around the place to absorb the-last-night-in-Spiti feel. We interacted with this another group of students from UK interning with the Ecophere office, who showed us the star-trails they had captured during the pitch dark nights in the valley. I wanted to stay up and chat, but the next morning was to begin at 6:00am , which meant getting up at 5:00 am. There was no scope for starting late as the terrain is fairly unpredictable and the 210 km journey had taken us 12.5 hours on our way up. P.S. 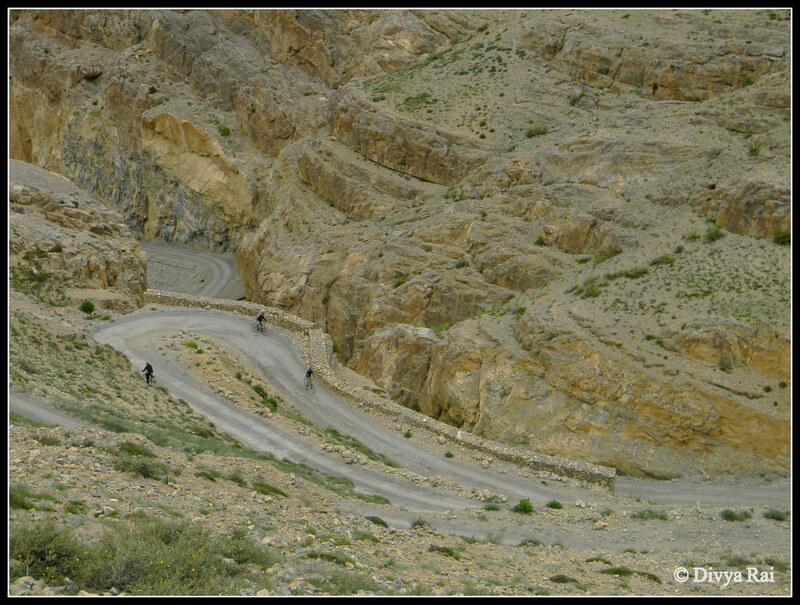 If you came here looking for information on Spiti on a bicycle, this link might help you a bit more. Langza is a treasure trove for history-buffs! Kyee Monastery is a photographer's delight. Drive from Komik to Kyee Monastery is slightly taxing. 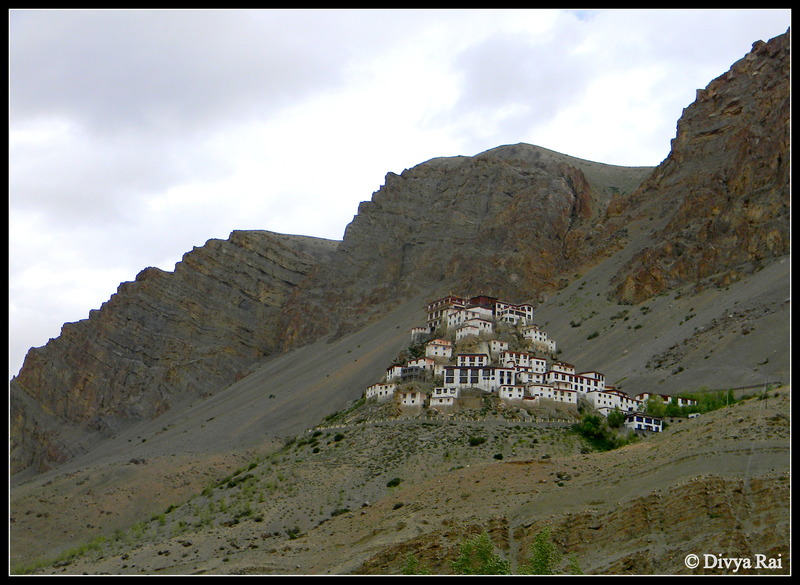 I had the good fortune of terlavling to Spiti this June and must say the experience was just amazing! The life is so harsh as u rightly mentioned and maybe- that’s why, the people are warm and kind When you leave Spiti, you are a different person than you were before you came here. I agree. totally !! Is it a good option to drive by urself (I mean with a group of friends) if you’d done that please share your story (if you are free) or we shouldn’t ? People drive, I haven’t. I don’t think it is a bad idea. It is a subjective query, Alisha; depends on how experienced a traveller you are. can you let me know where you stayed in komic village ? how much did they charged and what about food . I stayed at a homestay, and it was organized by Spiti Ecosphere. We paid a lump-sum amount for the trip and I don’t know if that room can be booked on one’s own or how much would it cost. Please tell if i can cover Langza to Komik walking i don’t have any vehicle and i am on Budgeted so won’t be able to even afford a cab their. The Fact that i love trekking and Himachal (is just amazing). Komik-Langza is doable on foot. Apart from walking, I am sure you can hitchhike too.